Indian cinema lost another gem as veteran actor Saeed Jaffrey passed away yesterday. Renowned for his memorable roles in Shatranj Ke Khiladi (1977), Heena (1991), Ram Teri Ganga Maili (1985), Masoom (1983), Mandi (1983) and Chashme Buddoor (1983), Jaffrey was struggling with cancer for months. 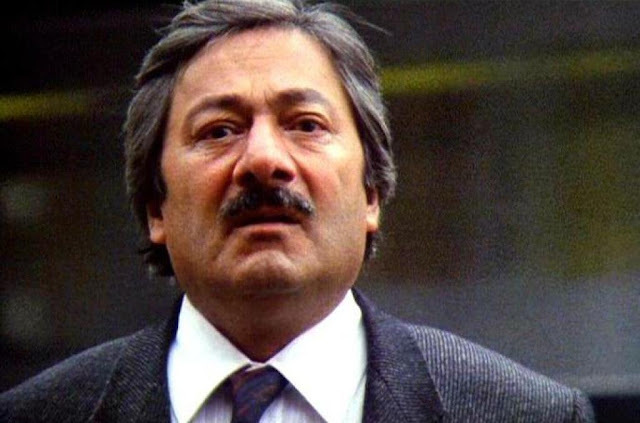 Saeed Jaffrey began his career setting up a theatre company (Unity Theatre) in Delhi. It was also the first in India to tour Shakespeare plays across the country. Jaffrey also worked in several British and Hindi films including The Man Who Would Be King, A Passage to India and Richard Attemborough’s Oscar-winning film, Gandhi..He also has Bollywood hits like Dil, Kishan Kanhaiya, Ghar Ho Toh Aisa, Raja Ki Aayegi Baarat, Deewana Mastana, Mohabbat, Jab Pyaar Kisise Hota Hai, Aunty No 1, Albela, Judaai and Ajooba among others, to his credit. The actor had married twice; first to Mehrunima (who later changed her name to Madhur Jaffrey), but after 10 years they called it quits and he married to co-star Jennifer Jaffrey. He had worked with many veteran actors like Rishi Kapoor, Amitabh Bachchan, Aamir Khan, Madhuri Dixit, Ben Kingsley, Naseeruddin Shah and Farooq Shaikh.